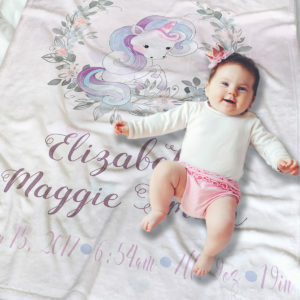 So soft and snugly, our custom baby name blanket is a favorite among new parents and makes the perfect baby shower gift. It is sure to become your little one’s favorite blankie to snuggle with! 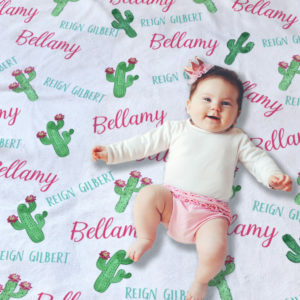 This modern custom baby name blanket captures the sweetest moment of your life with the name of your bouncing bundle of joy. 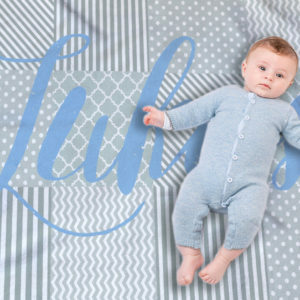 Expertly printed onto exquisitely soft fleece, this personalized baby boy blanket will offer you a unique way to announce your child to the world while also becoming a cherished childhood heirloom with time. 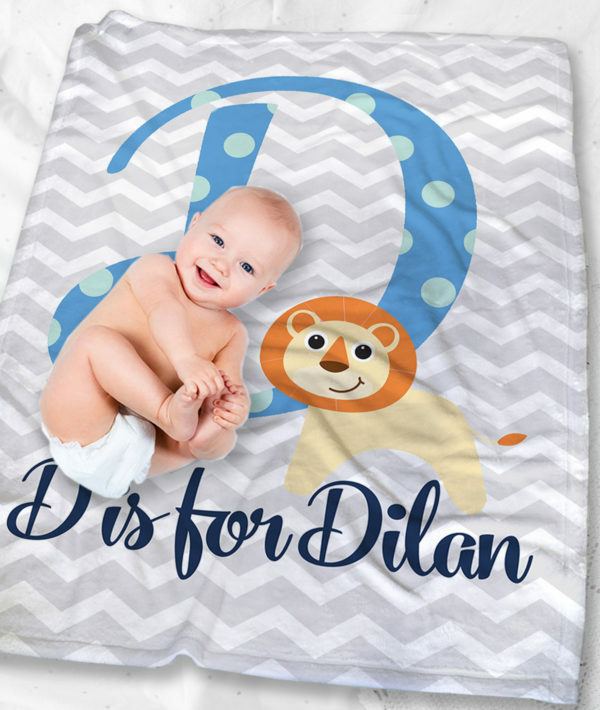 Personalized with a little lion in bright boy colors the blanket is perfect for any nursery. Please note: You can change the animal displayed on the blanket with one of your choice. Just Contact me and I will be happy to discuss your idea and help any further.